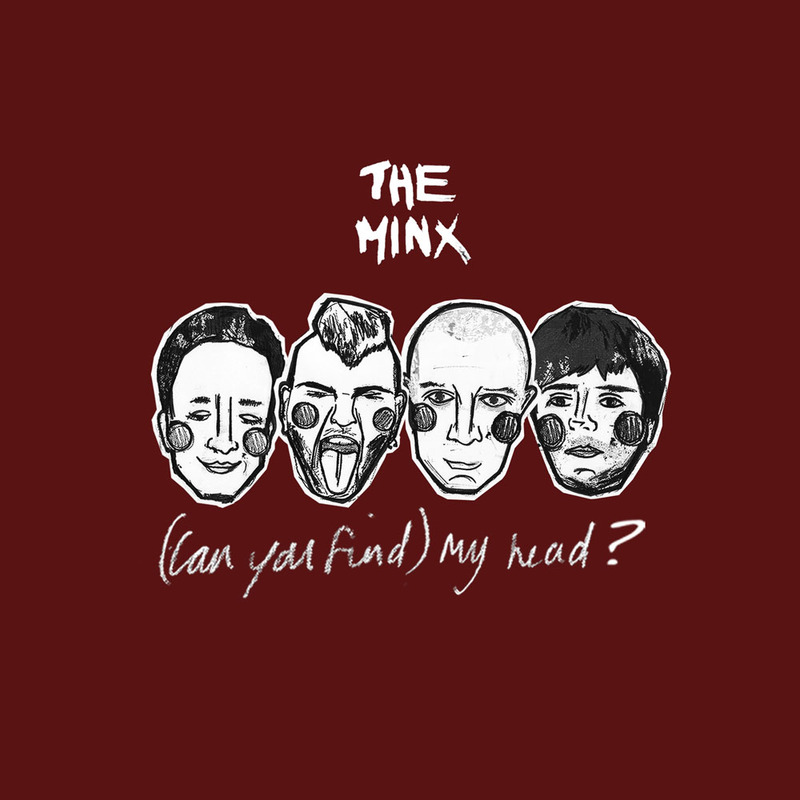 THE MINX ANNOUNCE NEW SINGLE (CAN YOU FIND) MY HEAD? Smiths legend Johnny Marr has thrown his support behind them, John Robb has named them “the best new band in Manchester” and having starred in Dr Martens‘ current advertising campaign, Manchester’s The Minx have announced their new thrill-a-minute single, (Can You Find) My Head? Having scored radio play for their previous single from the likes of Steve Lamacq – who compared them to Buzzcocks and The Undertones – and being invited by Xfm to play their Spike Island event, The Minx are aiming higher than ever with their latest blast of power-pop. And (Can You Find) My Head is accompanied by a brilliant new video; all scatter-gun visuals, kaleidoscopic colours and frenzied gig footage shot around Manchester on charity-shop Hi-8 cameras. The band have just announced their biggest headline gig yet, at Sound Control on Saturday 7th December, to coincide with the single’s release – and having sold out every single show they’ve played in Manchester, it’s set to be another occasion for their rabid fanbase to pack out the venue and get stuck in to yet another raucous set from their favourite band. Manchester’s The Minx have been cherry-picked to be the sound and faces (or maybe the feet!) of Dr. Marten‘s international Autumn/Winter 2013 campaign. Dr Marten’s spotted the band’s stylish no-nonsense look, top pop tunes, and the close connection that they had with their fans; and quickly realised that they were a perfect fit for their new video and print ads. Their next single ‘(Can You Find) My Head?” will feature on the video and print advertising everywhere – and will be part of a huge social media campaign called #standforsomething – see more of The Minx on the Dr Marten’s Facebook page. 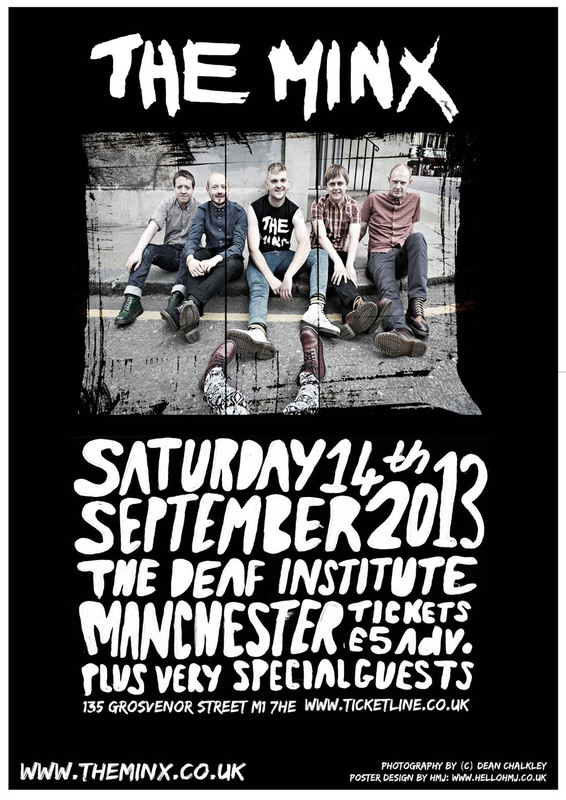 Manchester’s top purveyors of Buzzcocks-esque power-pop tunes, The Minx, are playing their biggest ever gig at one of the city’s most prestigious venues: The Deaf Institute this coming Saturday night – and there are only a handful of tickets left. This coming show is just another example of their rapid ascent: they have sold out every show in the city so far, and after touring with Inspiral Carpets earlier this year, have their sights set on bigger crowds and wilder responses. The Minx are a prime example of both a band of the new music world – they book, promote and sell all their own gigs; and of the past, when guitar bands felt like groups of friends having fun and playing top pop songs for the sheer joy of it. They’re a band who are connecting with an under-represented segment of music-loving society – and their rabid, loyal fanbase pack out their raucous shows every time.